Humans aren’t built for deep space exploration. We’ve evolved to live here on Earth with an atmosphere, gravity, and a vitally important magnetic field that deflects high-energy cosmic radiation. It will take all our technological prowess to expand on to other worlds, and it won’t simply be a matter of physically getting there. We also need to preserve delicate human biology. A new study from Georgetown University and NASA suggests it may be much harder than we thought to ensure astronauts maintain healthy gastrointestinal (GI) tract tissue in space. While doctors expect long-term exposure to high-energy radiation will have myriad effects, it’s difficult to study them in a lab on Earth. The effects of the GI tract are easier to assess because the cells lining this body system are replaced every few days. New cells migrate upward from a structure called a “crypt” to take their places lining the gut. Any disturbance of this mechanism can lead to dysfunction. The study assessed mice under exposure to different radiation conditions as an analog for humans. They’re much smaller, so they can’t handle as much radiation has a human. However, their GI tracts respond much like ours would from exposure to high-energy particles. The researchers used the NASA Space Radiation Laboratory (NSRL) in Brookhaven National Laboratory to bombard the mice with either simulated galactic cosmic radiation (sometimes called cosmic rays), gamma rays, or no radiation (control group). 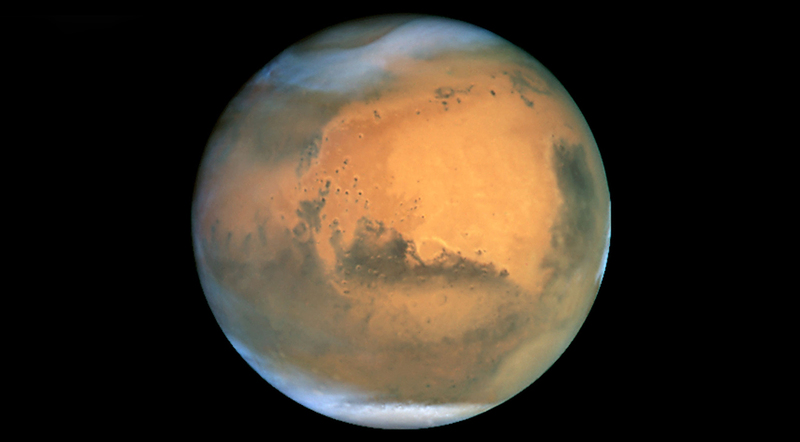 Elon Musk thinks we can live on Mars within a decade, but your GI tract might not agree. It turns out that galactic cosmic radiation (GCR) might be the greatest threat. This isn’t electromagnetic radiation like x-rays, radio, or gamma rays — it’s atomic nuclei. The nuclei in GCR have lost all their electrons and swing around the galaxy at near the speed of light, probably accelerated by supernovae. The high mass of these particles appears to cause severe damage to the sensitive tissues of the GI tract. According to researchers, mice that were exposed to heavy ion GCR showed poor nutrient absorption following the test. They also had a higher than expected incidence of cancerous polyps. The team also detected damage to DNA in the GI tract that could lead to permanent dysfunction. This was just with a simulated low dose over the course of months. Attempting to live on the surface of Mars for years or decades would likely be impossible with current shielding technology. This was just a study of one organ system, though it’s a particularly vulnerable one. However, the team believes that other organs could be similarly affected by cosmic rays.